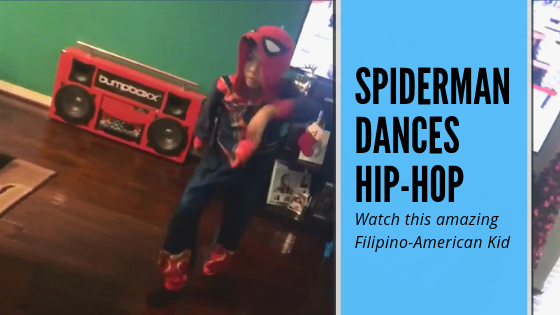 An amazing kid from the US, who is also a Filipino-American amazed us with his amazing dance while in a Spiderman suit. It was a dance that you would say can bring this young gentleman to new heights, in fact, he is already a dancer during LA Clipper games. Spiderman is my favorite Super Hero! This young kid is really amazing and he does not stop at just liking Spiderman because he also went as far as dancing in costume. Meet Jerald Joseph, a member of the Kid Clippers which you might see dancing during LA Clippers game. His moves are really awesome so you might ask how did he get to be so good. He might be small but he does not mind it at all. According to him size does not matter or even age. All you have to do is do what you love and trust God. I could say that this works for Jerald because of look at where he is now. TRUST GOD and BELIEVE in yourself! DREAM BIG and be HUMBLE! I hope that you find what he does cool as I did. Do you know of other cool cosplayers or people out there whom we can feature? Just message the OtakuPlay Facebook page.